Today at the Inclusion BC Conference, I had the opportunity to meet Paula Kluth, and hear her keynote address about inclusive practices in education. Her message is powerful and one that I embrace: Inclusive education is the foundation upon which an inclusive life is built. She nudged her audience toward seeing inclusion as a process and to get away from seeing inclusion as a place, ie: the inclusion room (and the irony here made everybody laugh). She talked about the constant adjustment and unending work to support inclusion, and get it balanced, and raise the bar, and presume competency. I sensed I was a couple of minutes late in starting my own presentation. I was getting set up, while people were tricking in… and I was aware, as always, of the time. I have so much material to cover in 1.5 hours. There is so much I want to share when I have the opportunity to talk about autism – I want to dispel the myth of lack of empathy. I want to give the message that social accommodations for those who process differently need to be worked on by those with the social strength as well as those with the social challenges. I want to leave people pondering whether our current paradigm is upside-down, because so often in our schools we expect those with the social-cognitive challenges to do all of the changing to ‘fit in’ to the existing system. I want to right this – and shift the paradigm so that the responsibility becomes a shared one – and so that those with the social cognitive strength do most of the work – or at the very least a fair share. I want to show how universally designed approaches can benefit students and build community within the school and the classroom, and make the case that this community and culture of inclusion supports our students. I want to share ideas that support Autistic students/students with autism and then sell the idea that these same strategies are good practice to support the social and emotional development of every child. I want people to understand the challenges that some autistic people face with understanding the perspective of others – and then in tandem with this – I want to DRIVE home the message – to consider the inherent bias – that non Autistic people are often not very willing or able to consider perspectives of those who are Autistic. 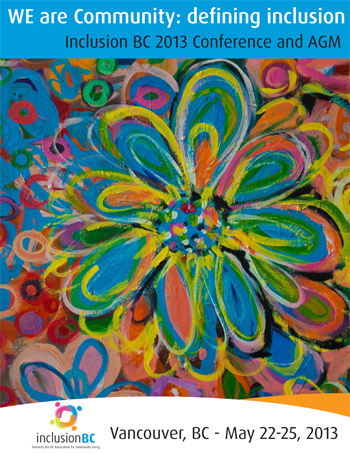 I want to share that autism is not a coat of paint that is on the outside of a child like mine – but that it is a part of who he is to his very core, and that success should not be measured by the ability to pass as non Autistic. I want people to consider that denying authentic differences in processing or sensing or responding to the world is damaging to the sense of self – especially when we punish students for this. I want them considering that behaviour is communication, and to look for opportunities to use what they have learned with me as a springboard to their own learning. I want to leave people with a message that honours, and resonates, and has them questioning their practice in a positive way. And… on top of all of this, I want people to leave with a set of strategies to use literature to teach useful social and emotional cognitive skills that will support development for their entire class in an inclusive setting. When I began my presentation I explained that I don’t always use person first language – and I explained why this is the case and a bit about the neurodiversity movement. I checked if anyone had a language preference – as I am quite willing to adapt if this were going to make someone uncomfortable. During my presentation – this young woman, Tara, had much to share – and though it meant I didn’t get quite through everything as planned – there was something else really interesting that happened. I had the opportunity to model what I was talking about. I had to shift and change my best laid plans to accommodate others. Educators need be mindful of this… in their word choice, movements, responses, and their actions – because ‘we teach who we are’ (a little Parker Palmer reference) – and sometimes the curriculum and our message needs to be more about our response to others than the actual materials. I perhaps should apologize to those who were attending – that I let things slip away a bit – but this was not without consideration of something I see as being bigger and more important. Sometimes we have to change the lesson plan – shift where we thought we were going… and we end up going somewhere that was not planned… but in the end we are all the richer for it. There was an opportunity for Tara to read one of her poems aloud to the group when we were in the midst of distributing some of the handouts. I sensed that she really wanted to connect further and so I also let her know that I would love to chat more afterwards. If I believe in empowering the voices of Autistic people, and I do, then I had to see this as an opportunity. If I am talking about honouring perspectives and the power of inclusion… then I need to walk my talk… or it is all meaningless. 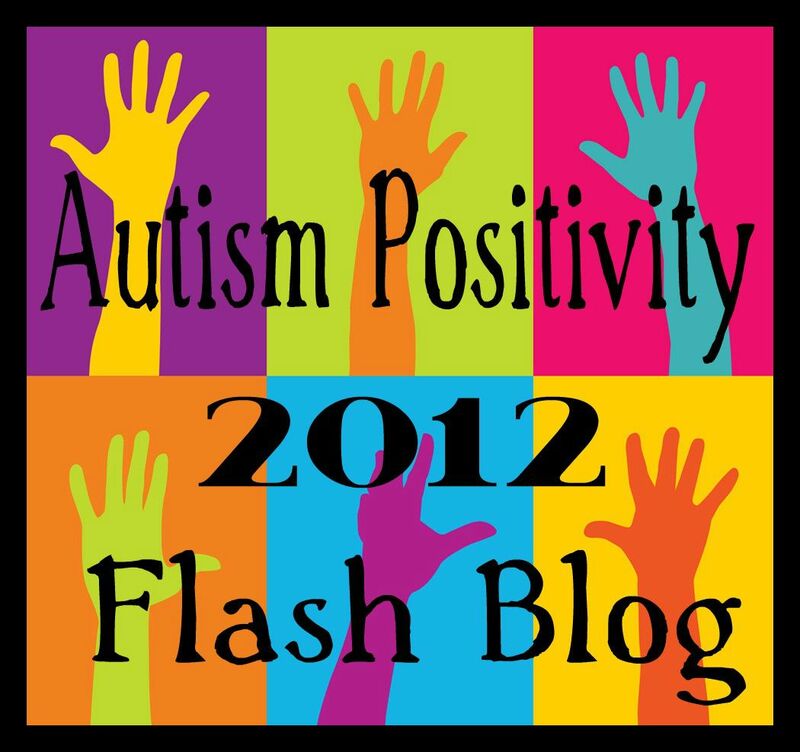 You see – I had recently read of an experience that Karla Fisher (of Karla’s ASD Page ) had at a conference. It is my understanding that the experience left her feeling like she was not honoured or listened to and that her perspective was discounted. And this was there too – as a shadow – as I chose my words – took my steps – and did my best to honour all involved. So I didn’t get through all of my stuff… but I think what happened was more important. Today the line between teacher and learner was blurred – and I can’t help but notice that this can be when the best learning happens… it can be tranformative! After the presentation, Tara and I talked as I was gathering my materials, and then rather long after that in the empty room. We talked about advocacy and silencing and opportunity and other things that are not mine to share. I told her what my concern had been – that I had all of this material to get through – but that I didn’t want her to feel that she was not honoured. I asked her if she felt I listened … or if she felt shushed. I wanted her perspective – and I sensed that she appreciated my honesty is explaining what I had been trying to balance. I wasn’t going to share here how Tara responded to my query about feeling listened to… because I didn’t want to make this post all about me… I thought I would leave it ambiguous. Part of that honouring and respect is about being willing to share the power – to give some of it away. In doing so, we give up some control; we may not get through every slide… but we create a shared experience. So… yes, Tara did feel listened to and respected – which is important information for me to further shape my practice and guide my future steps. As an educator, it is critical to understand what works for others – and how my actions and responses affect them. I also need to be mindful of opportunities which may unexpectedly arise for me to listen to, support, encourage, and empower the perspectives of others. I will be considering ways to shorten my presentations, so that there is more room to be flexible and adjust to the dynamics or needs of a particular group. I was stretched today… in a good way. I certainly didn’t get it all right – and I think that is okay. I have said before that I am a work in progress – and that this is not an excuse – rather it is a commitment. A final note: Our discussion and my account of my experience and learning today have been shared with Tara Torme’s permission. 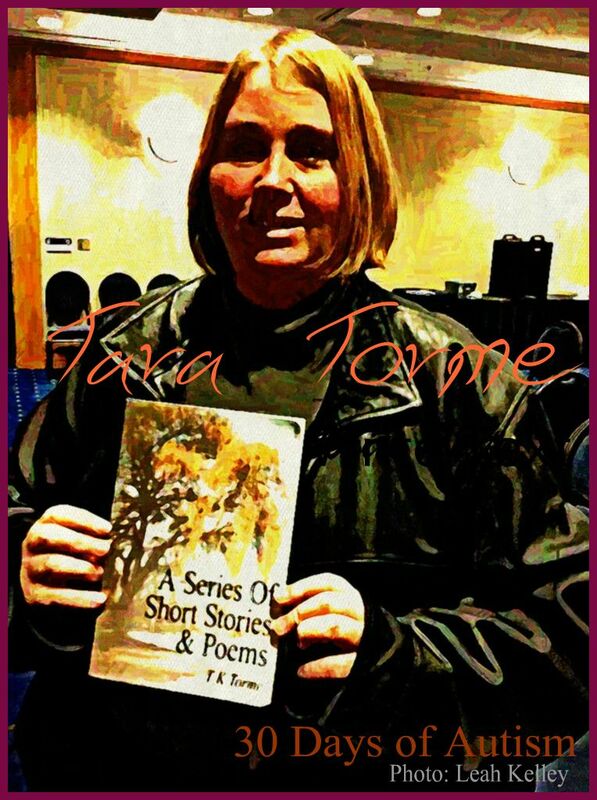 The poem Tara shared is embedded in this video: The Silent Meow – Asperger Syndrome Documentary and she has a book of poems and short stories available for purchase on Amazon.ca. This entry was posted in Aspergers, Autism, diversity, Educator, inclusion, Inclusion BC Conference, Karla Fisher, Neurodiversity, Parker Palmer, Paula Kluth, perspective of others, promote social understanding, Silence, Teacher and tagged Aspergers, Autism, communication, honouring, Modelling behaviour, Perspectives, Special Education, strategies, struggle, teacher, we teach who we are. Bookmark the permalink. Thank you so much for this! I have been in that situation, and – sadly – have watched paralyzed as autistic people in the room have been shushed, asked to leave, even walked out of the room…while autistic people who remained silent were allowed to stay. A colleague and I developed a model in which those who identified as autistic were encouraged to speak and discuss, while all who did not were asked to remain silent, to listen, and perhaps learn from the discussion. I’d love to be able to repost this on our blog – http://www.tagalogblog.com – if you’d be open to that? Thank you again! I appreciate your comment Carolyn. I would be interested in hearing more about your model for discussion, and yes, I’d be honoured for you to share my article on your site. Thank you for asking. Fabulous! I wish I could have been there to hear you. I bet it was absolutely brilliant! You are always modeling inclusion. Thank you, Leah. o now you’ve really made me wish i could have been there. it sounds fantastic. You did good Leah, very good. I don’t think there was a word in your 1000 plus words that I had to step back from with reservations. (((Colin))) I appreciate your kindness and support, and I am certain Tara would as well.